People who have been seriously injured can rely on us for strong legal representation. We have helped countless injury victims and their loved ones throughout the greater Provo area, offering legal counsel for even the most complicated legal matters. Lawsuits over auto injuries and car accidents are rather common. Some of the most serious auto accidents occur when a motorist runs a red light or a traffic signal. Let's consider why these kinds of accidents need to be taken so seriously. Traffic signs and traffic signals have an important role to play when it comes to general safety and the proper flow of traffic. These signs and signals are especially important to have at busy intersections. Sadly, many people may ignore or disobey the stop sign. Sometimes they may accelerate to try to beat a yellow light, or may try to squeeze by a red light. In other instances, the stop sign or traffic signal may be obscured or not functioning properly, placing all motorists at the intersection at risk. These incidents can lead to serious accidents and fatal injuries, which is why they have to be taken seriously. When it comes to stop signs and stop signals, it's of the utmost importance that motorists come to a full stop behind the limit lines. The vehicle should be behind the limit lines when fully stopped. In the state of Utah, motorists can face steep penalties and fines if they run a red light or run a stop sign. The maximum fine levied against drivers who disobey a stop signal of any kind can be as high as $1,000. In addition to the fines, Utah drivers also accumulate points on their driving record, which can have a negative impact on your auto insurance. More than 200 points on your record in a 3-year period can also result in the suspension of revocation of your license. If you run a red light or a stop sign, that's 50 points on your record. When people run stop signs or traffic signals, they often collide with other motorists who are driving perpendicular to them. These kinds of collisions are known as t-bone accidents. They are among the most serious kinds of vehicle accidents that can occur. The side of a vehicle is more fragile and vulnerable than other parts of a car, and impacts can lead to severe injuries to drivers and passengers. When it comes to the nature of a vehicle's impact, t-bone accidents are more likely to cause fatalities than other kinds of accidents. 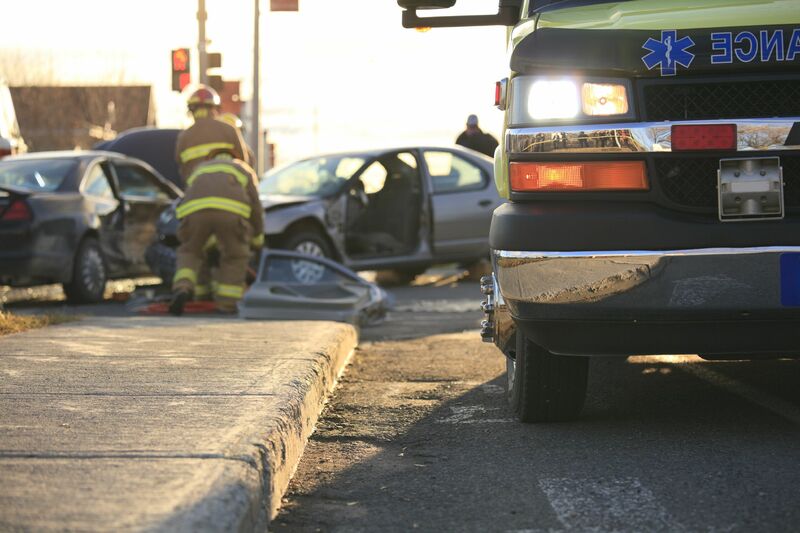 Whether your accident was the result of a negligent driver, a drunk driver, or an issue with traffic sign/signal visibility, an injury attorney can help you in your time of legal need. We will fight to ensure that negligent parties are held accountable for the incident, helping you collect damages for injuries sustained and any vehicle damage that occurred as well. Our legal team is here for you. For more information about your legal rights and options following a serious motor vehicle accident, be sure to contact an experience personal injury lawyer today. The lawyers of our firm will fight diligently for your legal rights and entitlements.